The August 6th release has a “mini-feature” of six B.C. wines. Which is better than nothing, and a good quality selection. But the general lack of B.C. wine in Ontario remains a big political issue because, a) the LCBO doesn’t have enough room for it along with wines from the rest of the world, and b) B.C. wineries can’t ship direct to Ontario consumers, and vice versa, due to a law craftily crafted to protect provincial interests (er, taxes) and certain business interests back in 1928. Nor can citizens privately carry wine from province to province. So at the end of July I happily broke this stupid, arcane law by purchasing wine, including B.C. wine, in Alberta and driving it over the Rockies into B.C. to enjoy on the deck during a one week vacation in the Columbia Valley. By the way, while on vacation I also dropped in at a wine and tapas bar called Casa Vino owned by the mayor of Radium Hot Springs – a nifty establishment targeted to locals and weekend Calgarians who own most of the lakeside properties around Radium, Invermere and Windermere. The wine list was very strong on B.C. wine with some international selections as well. I had Quails’ Gate Chasselas with melted gorgonzola on toast, then Domaine Jean Bousquet Malbec from Argentina with cheddar stuffed, pancetta wrapped dates. This is what Canadian wine needs; good wine on good wine lists within a world context. But I digress, somewhat. British Columbia has earned a reputation for its big reds and this release offers a current state-of-the-art example with LAUGHING STOCK 2008 BLIND TRUST RED ($40.00) made at a winery operated by Vancouver stock broker David Emms and his wife Cynthia. (Laughing Stock, Blind Trust and their top red is called Portfolio – hope the penny has dropped). 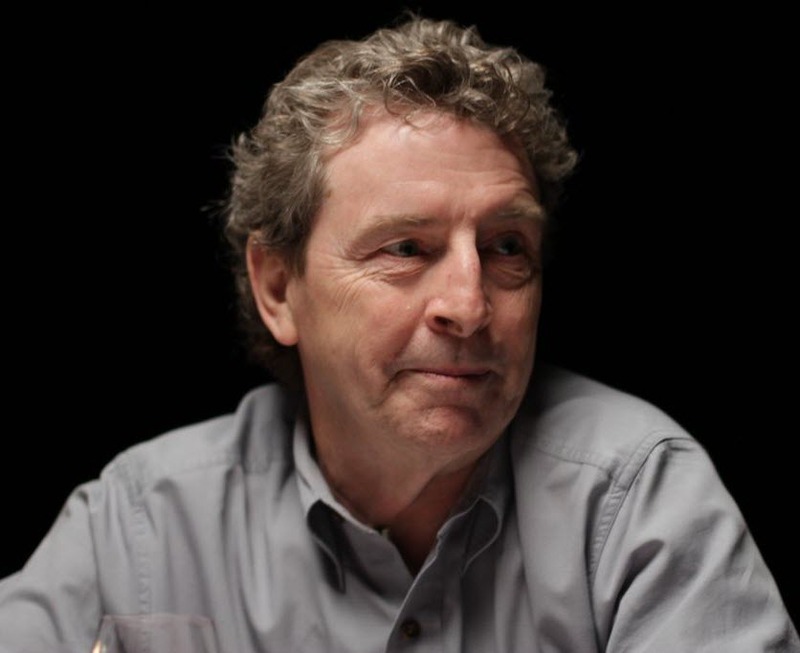 In the glass, Blind Trust pretty much defines big B.C. red nowadays. It has deep colour, good density and hot alcohol, with ripe jammy, sometimes almost fig like fruit. Yet despite all this B.C. reds still have an edge of cool climate acidity thanks to their residency at the 49th degree of latitude. Nowhere else in the world are they making such big reds at the frontier of viticulture! An interesting B.C. white also slips into a few Vintages stores this month as part of the In-Store Discovery program. Sperling Vineyards 2009 Gewurztraminer ($28.95) is the first release in Ontario from a new Kelowna winery managed by winemaker Ann Sperling and her family. The Sperlings have Canada’s oldest family estate vineyard, first planted on the benches of east Kelowna in 1925. Ann, however, has practised most of her career in Ontario, first at Malivoire and now at Southbrook. 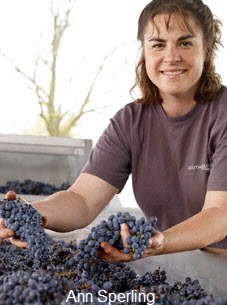 So in this regard she is perhaps the only true national winemaker in the country. Add the fact that her husband Peter Gamble consults to the new Benjamin Bridge project in Nova Scotia (see next item) and that together they have a winery in Mendoza. But back to the Sperling wines (an excellent riesling is also available via private order via Trialto (www.trialto.com/en-ca/portfolio)). Both show off Ann’s texturally delicate touch very nicely while pumping out impressive varietal purity and flavour depth. The Gewurztraminer is in a sweeter style so plan menus accordingly. Ann is also a leading proponent of biodynamic viticulture in Canada, and is a feature speaker at The Organic Biodynamic Viticulture Workshop coming up August 23 at Niagara College. She will be joined by Monty Waldin, the world’s foremost wine writer on things green and author of the 2011 Biodynamic Wine Guide. The full agenda and registration for this event are at www.obvworkshop.com. Later this month I am joining the 11th Wine Access Canadian Wine Awards in Nova Scotia, the first judging held in Atlantic Canada. I am very pleased about this! Those who have been to Halifax know that it is an utterly charming, natural and friendly city. The farther east you travel in Canada the closer you come to an older, more European feel. I am also pleased because this gesture by the CWAs acknowledges the growing importance of Nova Scotia wines. Not that proportionately we will taste a large number, but it recognizes that there are carefully made, terroir-driven, cool climate wines in Nova Scotia, that winter hardy hybrids do deserve respect, and that there future is about to bust wide open with sparkling wine leading the way. There are two very fine producers of sparkling wine at the moment – L’Acadie Vineyard and Benjamin Bridge. The latter has been founded in the Gaspereau Valley (a spur of the Annapolis Valley near Wolfville) by a Halifax businessman who hired Niagara’s Peter Gamble (also Ravine, and ex-Stratus) to carry out the sparkling vision. Gamble in turn hired a Champagne-based winemaker Jean-Benoit DesLauriers accustomed to dealing with vines at the cold edges. In its Ontario debut BENJAMIN BRIDGE 2010 NOVA 7 ($25.00) is the forerunner of more serious classic method sparklers to come. It is in a lighter, sweeter hybrid-based, moscato-style with only 7% alcohol, but it has electric acid tension and utterly distinctive currant fruit. Chile grabs the main spotlight on the August 6th release, with a range of white and red varietals, most from smaller and/or new wineries. Interestingly, Vintages magazine showcases the fact that the wines were chosen by its own buyers and consultants (as opposed to being selected based on the scores of American critics?). In any event it is a good selection, and I am happy to note that nowhere is the selection more interesting than with the several carmeneres. There are good examples ranging from $12.95 to $49.95, indeed it is terrific opportunity to follow this grape’s performance through various price levels. One appreciates why this late ripening, powerful varietal is currrently offering some of the best value New World reds on the planet. Although the very impressive Montes 2007 Purple Angelmakes a return visit, I have chosen to feature CONCHA Y TORO 2007 TERRUNYO BLOCK 27 CARMENÈRE, from the Peumo sub-appellation of the Cachapoal Valley. Spend some time with this wine – decant, swirl and savour – and you will quickly appreciate the balance and complexity woven within, despite its weight and richness – all for $29.95! In the wake of Ontario’s International Cool Climate Chardonnay Celebration it was rather ironic to be tasting several, big warm and fuzzy California chardonnays on this release, plus one from Washington and B.C’s very good Burrowing Owl. The selection served to point out that chardonnay does not need to be all nervy acidity and minerality to be very good. When the almost tropical fruit ripeness is nicely fitted with oak richness they can be very impressive. But for me there comes a tipping point with California chardonnay when out-of-control alcohol creates too much afterburn on the finish. I also noted that they were maturing rather quickly, as in the otherwise splendid Kistler 2008. My personal favourite among the selection is STAG’S LEAP WINE CELLARS 2007 ARCADIA CHARDONNAY from Napa Valley. At $54.95 it is not cheap, but this single vineyard, hillside grown wine is holding onto its vibrancy very nicely at five years of age. It does lean a bit to the cool climate spectrum but I was most impressed by its length. Rich chardonnay is actually not what we are likely to reach for during the dog days of summer, so may I also recommend a lovely, spry and refreshing Portuguese alvarinho. When tasting AVELEDA 2010 FOLLIES ALVARINHO I was immediately transported to a lakeside Muskoka chair beneath a stately white pine, perhaps with a chilled shrimp cocktail ring on the side. There is a wonderful sense of place – the maritime, forested hills of northern Portugal – in this wine, with its crisp acidity and fresh green evergreen/mint. And it’s great value at only $15.95. Very often when I approach a new Tuscan wine that has blended French grapes with native sangiovese, I get a feeling or expectation something like “there goes the neighbourhood”. I especially worry when the wine is only $16.95. But that longing for authenticity tends to overlook the innovative spirit and passion one often finds in Italy. So I was very pleasantly surprised by PETRA 2008 ZINGARI, an IGT that blends sangiovese with merlot, syrah and petit verdot. It is solid, complex and well balanced, easily reaching the 90 points ascribed by Robert Parker’s Italian palate Antonio Galloni. The Petra winery is an architectural showpiece located in southwest Tuscany’s Survereto region, an area full of innovative wineries taking advantage of warmer temps and some maritime influence to make slightly richer wines than in the hills of Chianti. Speaking of those hills, there are other very good, more classic Tuscan red on this release as well. Have a look at Salcheto 2005 Vino Nobile, Casalvento 2007 Chianti Classico and Rocca Delle Macie 2006 Chianti Classico. And that’s it for now. I trust you are enjoying your favourite summer wines and finding some time to chill. See all my reviews from August 6th here.